Happy Monday! I hope you all had a wonderful weekend! Our weekend consisted of a date night, delicious burgers and an epic milkshake, family movie time, and baking homemade candy bar cookies! Our weekends always involve lots of food, obviously. 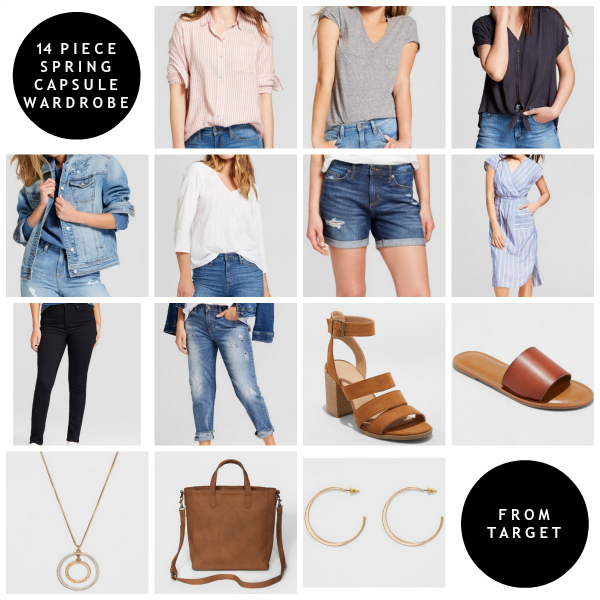 We also made a Target run so that I could put together this fourteen piece capsule wardrobe for spring! I absolutely love the concept of a capsule wardrobe because it keeps things simple and practical, while still remaining stylish! 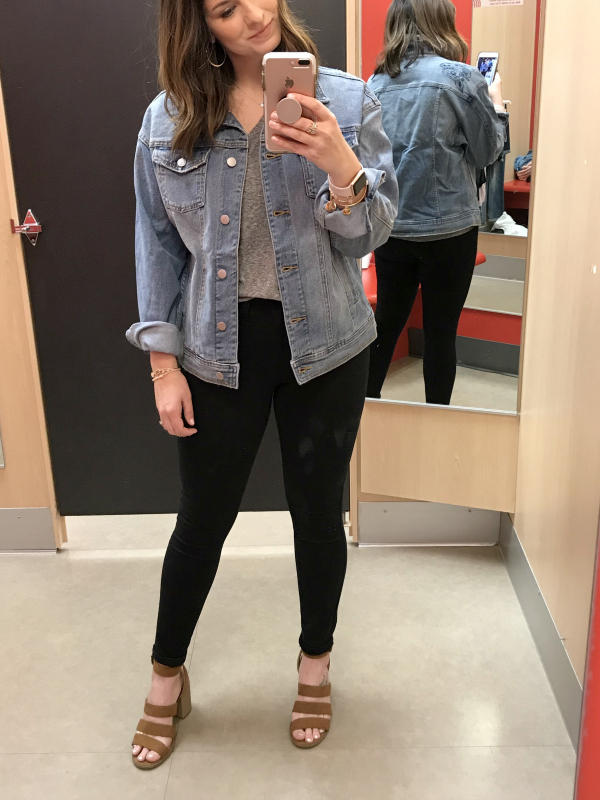 I feel like a capsule wardrobe is such a great solution for busy mom or women who needs comfortable outfits without all of the fuss. A capsule clothing collection is also great for your budget! 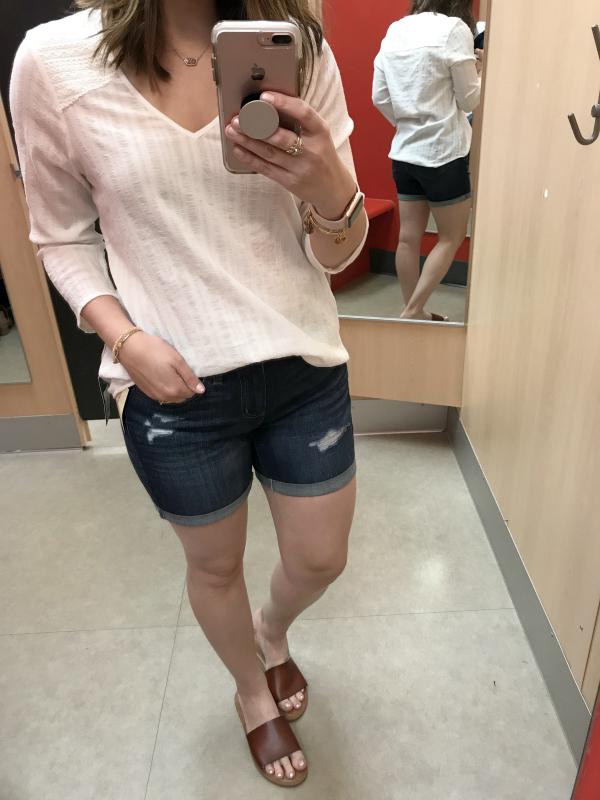 If you can commit to 10-15 pieces of great basics per season and just add in new things as necessary, you can really save so much money! The most important part of a capsule wardrobe is that your pieces can be mixed and matched with each other. Versatility is key! 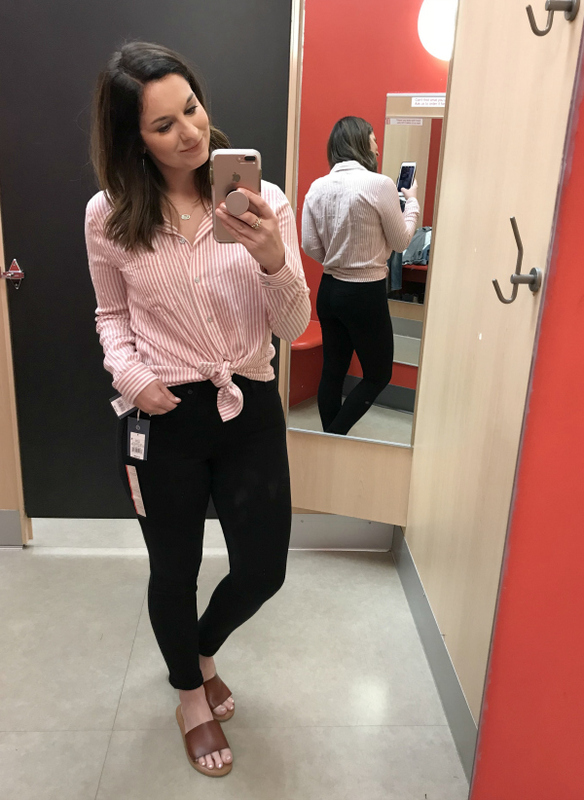 When I put this collection together, I stayed with comfortable basics that can dressed up or down, depending on the occasion you are dressing for. 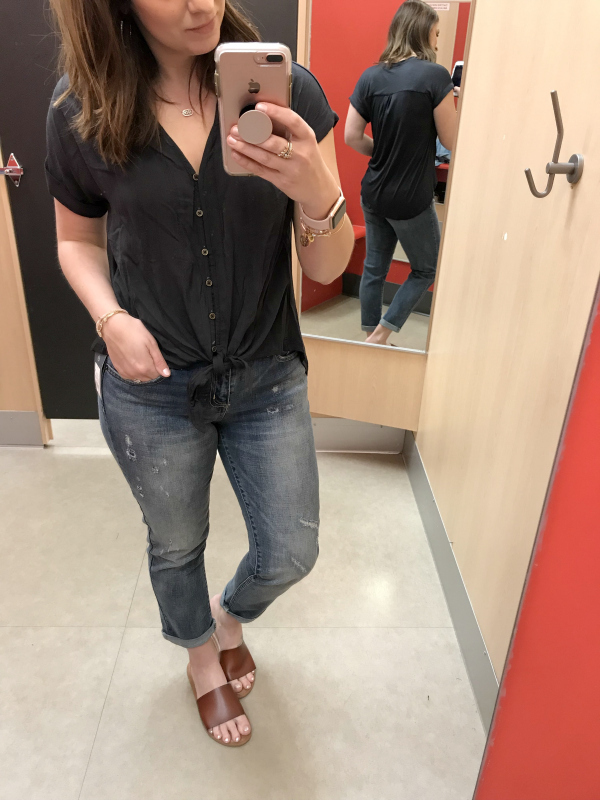 Four Tops | I picked a basic gray t-shirt, a front tie top, a great white top that could be dressed up, and a striped button up that could also function like a cardigan for an extra layer. 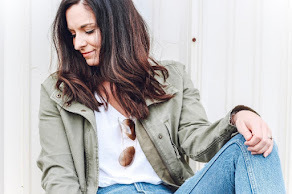 Three Bottoms | I picked up classic pair of black skinny jeans, a pair of distressed boyfriend jeans, and a great pair of denim shorts that will also take you straight into summertime. Two Pairs of Shoes | I picked a pair of slides and a pair of heels in a great neutral colors because they will literally match any outfit. One Dress | This dress is so classy and instantly makes you feel put together. It can be dressed up with heels with a spring wedding or worn with sandals to wear it more casually. Two Pieces of Jewelry | If I had to choose just two pieces of jewelry, it would definitely be a great pair of hoop earrings and a long necklace. I love that the necklace is silver and gold! One Purse | This is such a versatile bag that can be worn as a crossbody, on the shoulder, or it can be carried by the handles. It comes in several colors but I think this cognac color is a great neutral for this capsule wardrobe. One Jacket | Since there are still cool mornings and evenings during spring, you need a versatile lightweight jacket. I love a denim jacket, especially during this time of year. 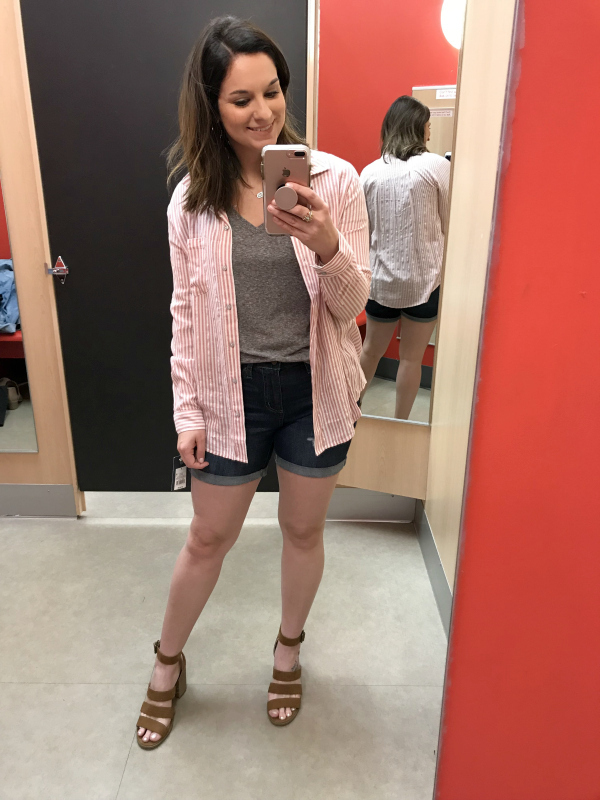 If I'm doing my math right, you can literally make at least 12 outfits using just the fourteen pieces in this budget friendly spring capsule wardrobe! But if you mix up which shoes you wear and get creative like I did below, you can make even more than that! Talk about getting more bang for your buck. I'm sharing seven examples of looks that you can put together using the pieces in this collection. Remember, the necklace, earrings, and purse can be worn with everything! Sizing | The jeans and shoes are true to size. The jacket runs a little big. The tee is true to size but I sized up one size for a more relaxed fit. Sizing | The top fits true to size. The shoes run a little small so size up. The shorts are fitted so I sized up one size for a more comfortable fit. 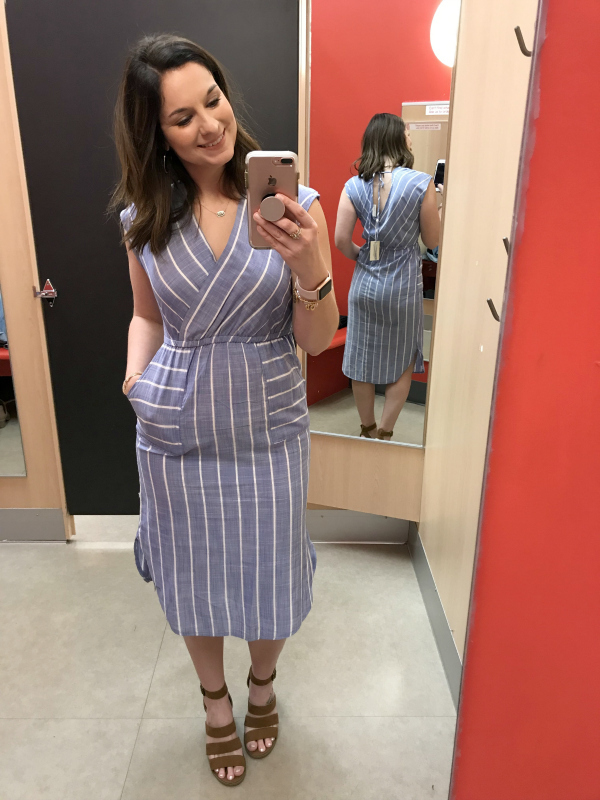 Sizing | The dress is true to size (unless you have hips like I do). 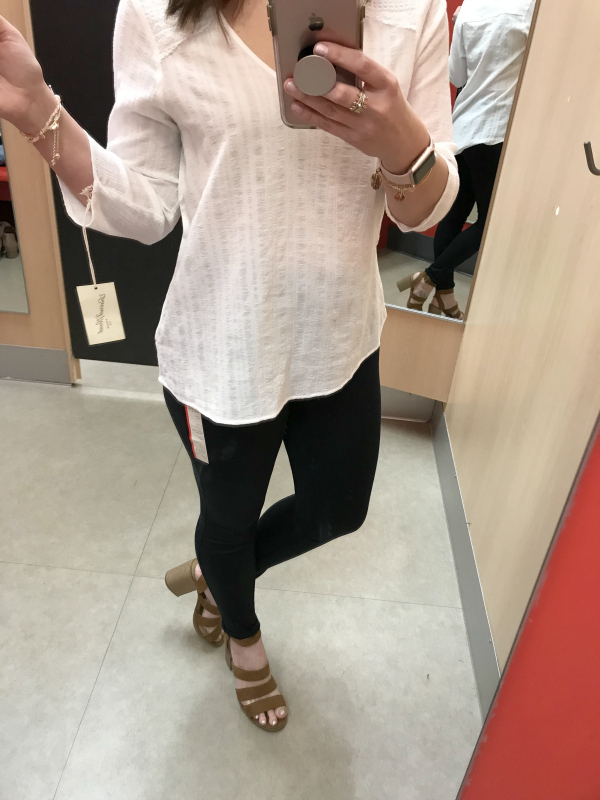 The small worked for me but I would be more comfortable in a medium. Sizing | The shoes are true to size. The striped shirt is also true to size. The shorts are fitted so I sized up one size for a more comfortable fit. The tee is true to size but I also sized up one size for a more relaxed fit. Sizing | The top is true to size. The jeans are also true to size (and so comfortable). The shoes run a little small so size up. Sizing | The top, shoes, and jeans all fit true to size. Sizing | The top and jeans fit true to size. The shoes run a little small so size up.